We had another amazing challenge the last couple of weeks at The Card Challenge. All of your creations were just amazing. It's time for a new challenge and this time the theme is butterflies. 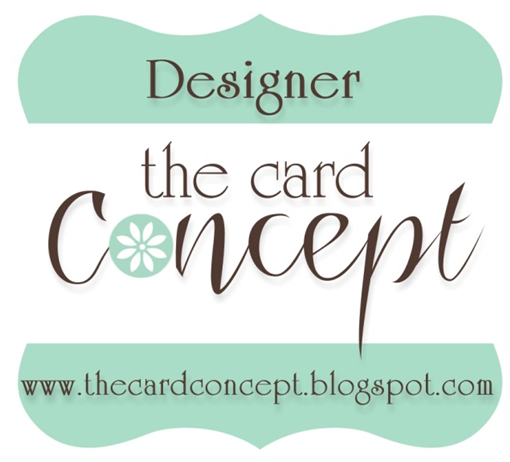 To keep my card CAS I selected a trio of colors and simply stamped them across the card. To finish it off I added a large sentiment. How quick and easy is that? Think of all the beautiful color combos you could do. I sure hope you can join us this week. I always look forward to seeing your beautiful creations. Love the soft summer colors Deanna, pretty card! 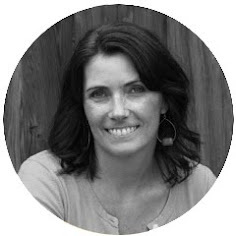 Deanna, I just love the clean lines of that butterfly stamp. And the overlapping wings look great! 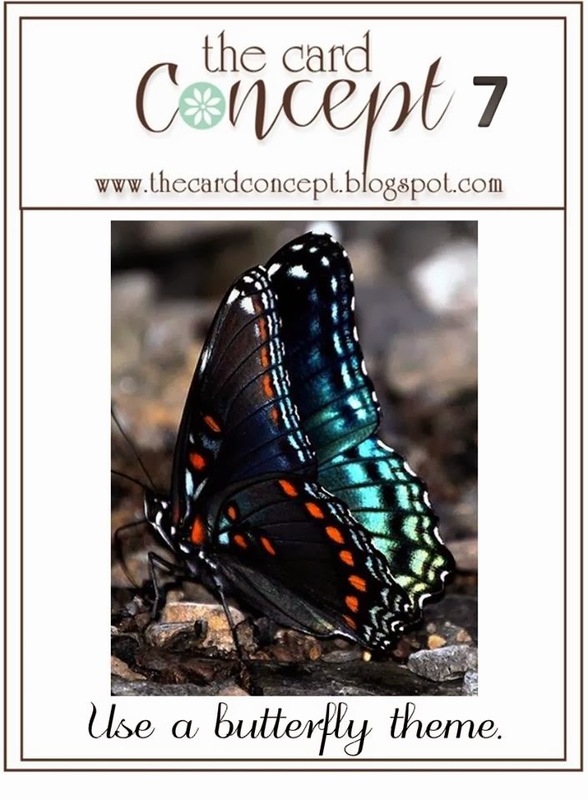 Fun card -- Who carries the butterflies? 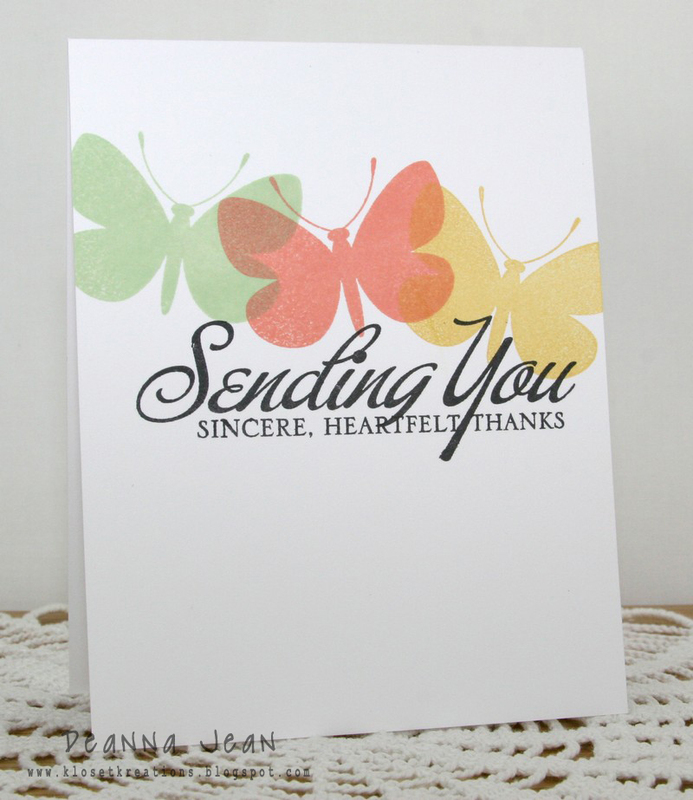 I love your choice of butterflies and gorgeous sentiment on this card! Such a pretty color combo, too! Thanks for inspiring us once again, Deanna! beautiful card in those colors - and i'm loving those little dots that i bought from you! Deanna, this is so simple and beautiful! You really are a great representative of CAS style Deanna...love the big, bright butterflies and the super-sized sentiment. Pretty! I love the bold sentiment with the colorful butterflies! I just LOVE your card!!! So simple & so stunning!!! I saved this right away, but had never gotten back here to tell you how much I love it. I have those butterflies and I have struggled using them - but they are just right behind your bold sentiment.